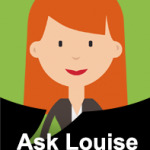 Hi Louise, thanks for providing us with this portal to get all the info we need… I need help, really badly. I have 3 kids and have been applying for schools everywhere, I need something affordable and can’t understand why I need to pay DHS 500 for each application, at every school. Any school recommendations? If it is for this summer, why don’t you contact the Taaleem group of schools, they have 6 schools in Dubai and I think they have a few spaces (dependent on the year group you require), especially in their Uptown Primary School. The other school that may have some spaces is Safa School, as they are moving to new premises and are increasing the number of classes. The registration fee is an administrative cost and has become common practice in Dubai – the ‘not-for-profit’ schools, such as DESS, apply a lower fee of Dhs 300. Thanks a lot for the help. The registration fee does seem unfair, as even though the schools do not have space they ask us to pay this fee to be on a waiting list, which is way over booked. Seems like a scam to me. I have contacted Safa School. The help is much appreciated! I very much agree with Irfana, its all in the racket, so it seems. I ended up paying 400AED for admission, 400AED for registration and 25AED for the Admission form, and in-case I change my mind and do not register her in this school, its all non-refundable. Great!